A great way to get the quality products you need to get started... And save about 10% off compared to purchasing individually! If ordered with an accompanying loom / spinning wheel, get an additional 5% off (discount taken before you are charged, will not show in cart, call for details)! 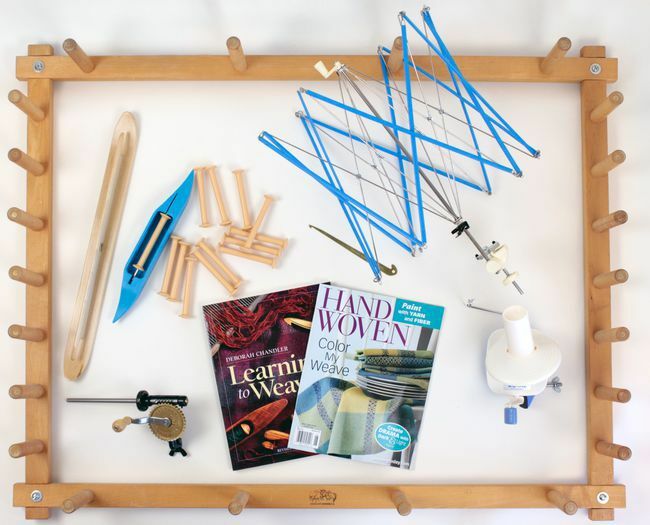 Want to start weaving the minute your loom arrives? 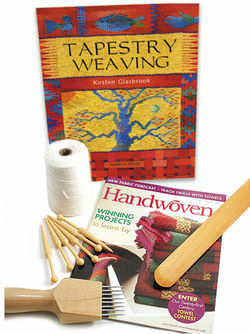 With Halcyon Yarn&apos;s Quick Start Accessory Package all you need is yarn and you&apos;re ready to warp. Includes: Schacht 14 yard Warping Board, Halcyon Engraved Brass Threading Hook, Leclerc 18 in Ski Shuttle, Leclerc 11.25 in Budget Boat Shuttle, Leclerc 4 in Plastic Bobbins (12), Swedish Bobbin Winder, Plastic and Metal Swift, Ball Winder, Learning To Weave by Deborah Chandler, Handwoven Magazine (current issue). Save when you purchase it with any floor loom. Halcyon Yarn’s Spinning Accessory Package includes top quality equipment and fibers to get beginning spinners off on the right foot. 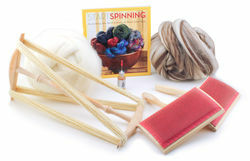 The Spinning Package is priced 10% less when purchased with a wheel.